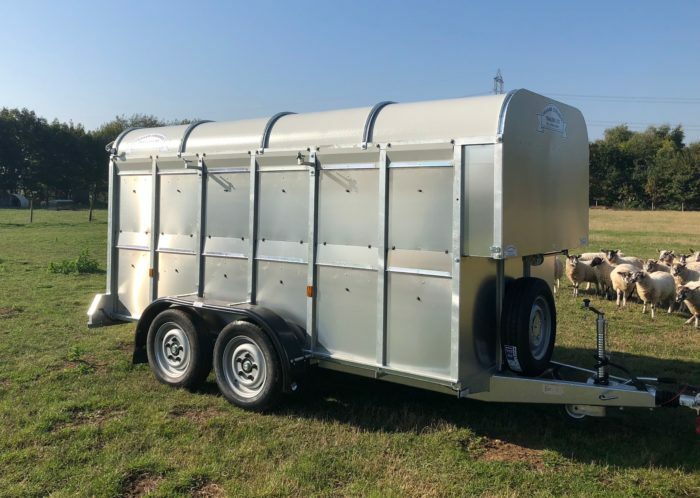 Here at Graham Edwards Trailers we manufacture a wide range of Livestock Trailers suitable for different types of livestock. We have trailers aiming for people wanting to carry a handful of animals, to a small herd. Our trailers are suitable for many different types of livestock. Today we will discuss some of our trailer range and the benefits they have to certain applications. 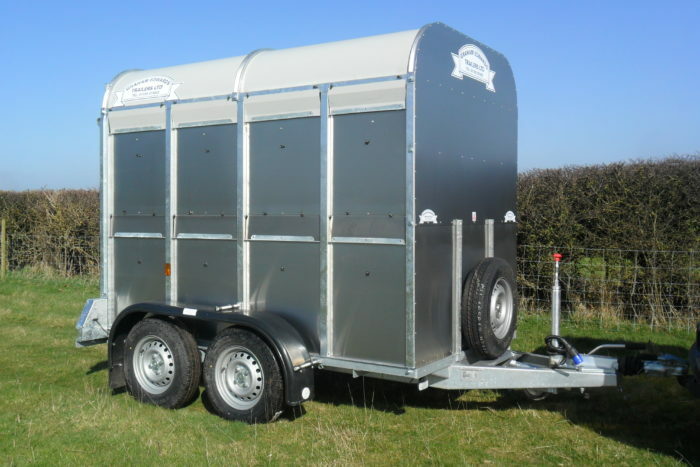 The range of 5ft wide livestock trailers from 2 tonne to 3 tonne gross weight. These trailers are ideal for people wanting to transport a small number of animals around behind a smaller vehicle. 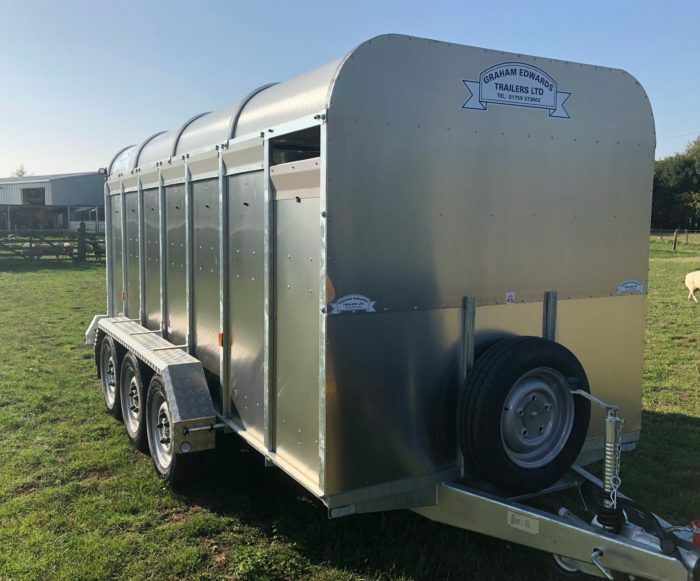 A step up from the smaller 5ft trailer we have the 5ft 8inch wide livestock trailers with outstanding stability on the road with wheels on the outside providing good weight distribution lower to the ground, whilst also providing a larger payload and room for more livestock. 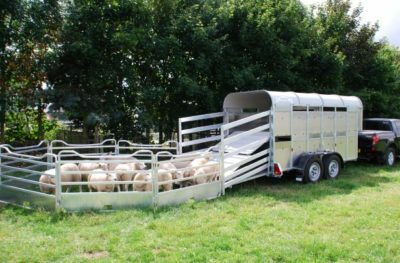 This trailer fitted with decks makes for the ideal sheep trailer. We then have our 6ft 3inch trailer range that is our widest livestock trailer, with the wheels on the outside providing excellent stability. However due to the width of this trailer it is recommended for applications where a wider trailer is required and access is not an issue. 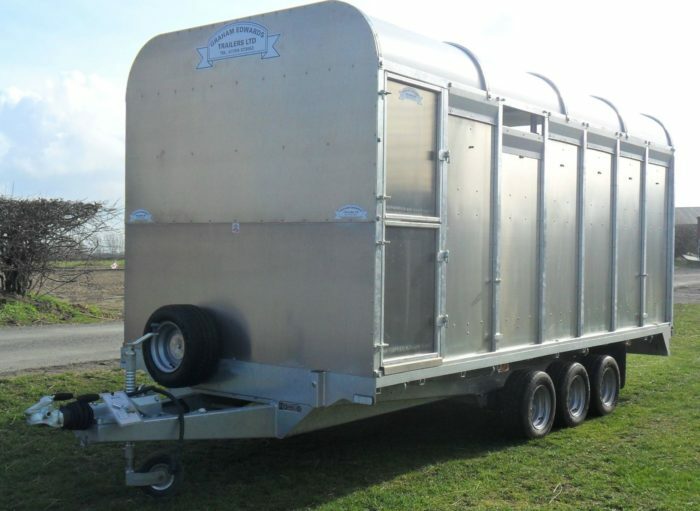 Ideal for cattle making it the perfect cattle trailer or fitted with decks for sheep. Last but not least we have our demountable 6ft 6in trailers which are perfect for anyone wanting a multipurpose trailer. A livestock container on a flatbed chassis, the best of both worlds! This is all of our livestock trailers ranging from 2000kg – 3500kg so this means no tractor drawn on today’s post or any general purpose livestock kit trailers. However, we hope this has given you some insight into what Graham Edwards Trailers has to offer. Built up to a standard not down to a cost.